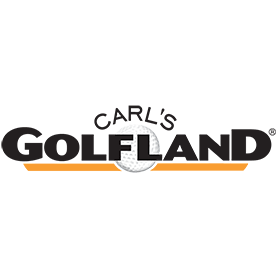 A Carl's Golfland Launch Pad Performance Fitting is designed for the player that values the best in technology and fitting expertise. What makes this fitting unique is the combination of a demo and testing session in conjunction with launch monitor feedback while working one on one with a dedicated performance fitter. We utilize Trackman III launch monitor technology during these fittings. Trackman is a Doppler radar based system that tracks the ball down range and provides extremely accurate numerical information about your shots. This information combined with your feedback will allow us to find the best products for your game. There is a cost for performance fittings, however if a purchase is made a portion of the fee is credited. All of these fittings take place in The Launch Pad, our newly constructed, state of the art fitting center. The Launch Pad is available for year round use and is sheltered from the elements. What follows is a brief description of the types of fittings offered and the prices. If a purchase is made through one of these performance fittings you will earn a credit of $60. This credit is valid for 30 days from your fitting.